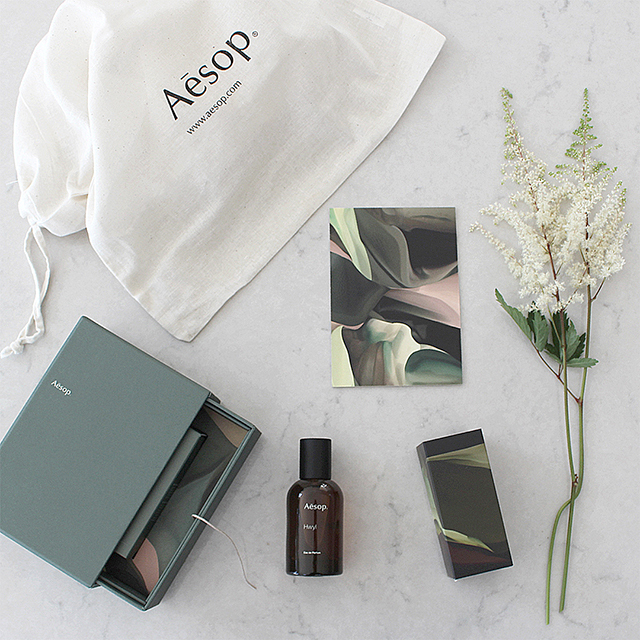 Aesop's new fragrance Hwyl Eau de Parfum landed on my desk this week and I literally dropped everything to test it out. As I opened the beautiful packaging the scent hit me with unmistakably smoky notes, followed by rich aromas of wood, moss and robust spices. The company's third fragrance designed for men and women, Hwyl was formulated in partnership with French perfumer Barnabé Fillion to awaken the senses. An intriguing scent evoking the verdancy and stillness of an ancient Japanese forest, Barnabé says his inspiration for Hwyl Eau de Parfum was sparked by walking amongst the remarkable 300-year-old Hiba trees in an ancient Japanese forest and experiencing the country’s lush temple moss gardens. With a smoky introduction that folds in aromatic spices and fresh Thyme Extract, the addition of Cypress leads to a warm and woody heart, while the notes of Vetiver Extract, Frankincense and moss effect an earthy sensuality and longevity. As someone who is drawn to unisex fragrances, this incredible scent immediately won me over and I've been wearing it everyday! Hwyl Eau de Parfum is packaged in a 50mL amber glass bottle encased in a box featuring the beautiful work of Australian artist Jonathan McCabe. Launching globally on September 25th, it will be available at Aesop signature stores, select department store counters and Aesop Online. 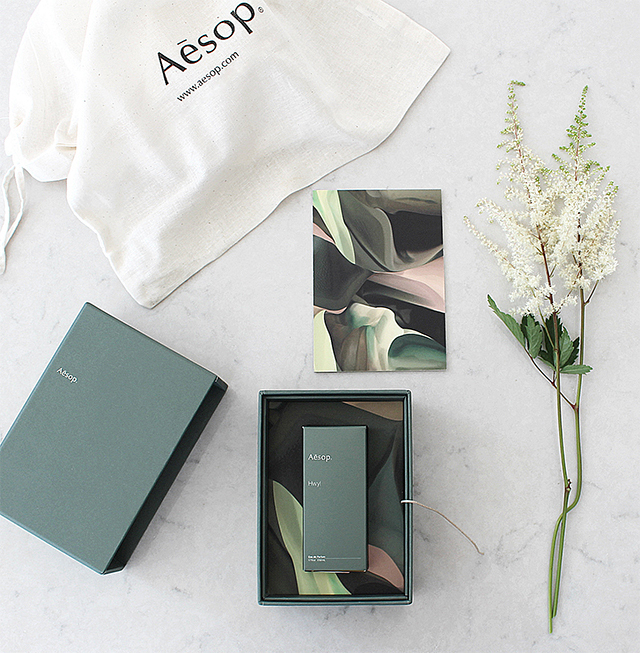 0 Response to "Aesop | Hwyl Eau De Parfum"